From the producers of the horror anthology ABCs of Death comes an all new feature-length anthology film called The Field Guide to Evil that is built around scary stories form myth and folktales. Eight of the most exciting new voices in international horror were asked to draw upon the folklore of their country, re-imagining a legend through their own unique (and often twisted) creative lens. The Field Guide to Evil features segments by some huge names in international horror including Veronika Franz & Severin Fiala (Goodnight Mommy, The Lodge), Petehttp://quietearth.us/code/icons/Bold.gifr Strickland (Berberian Sound Studio, The Duke of Burgundy), Agnieszka Smoczynska (The Lure), Can Evrenol (Baskin), Katrin Gebbe (Nothing Bad Can Happen), Calvin Reeder (The Rambler), Ashim Ahluwalia (Miss Lovely), and Yannis Veslemes (Norway). The film premiered at the SXSW Film Festival last year, and also played at Fantasia and the Night Visions Film Festival. 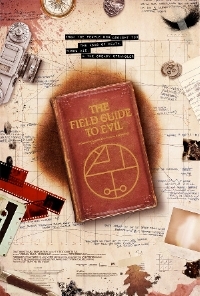 SuperLtd will release The Field Guide to Evil anthology in theaters + on VOD starting March 29th coming up soon.